Love is one of the strongest emotions ever known to any life form, if not the strongest emotion. Whether people say it or not, everyone is in constant search for love. Yes, even those who you think least deserve it. Everyone wants to be loved. In most cases, lack of love is the reason why many people demonstrate negative behaviors. One day before Valentine’s Day, check out these 50 great love quotes. This list by no means includes all the love quotes, but it scales many generations. Whether you have a Valentine’s or not, I hope these quotes will help inspire you to love yourself and others. 13. I have decided to stick with love. Hate is too great a burden to bear. - Martin Luther King, Jr.
48. At the center of non-violence stands the principle of love. - Martin Luther King, Jr.
50. 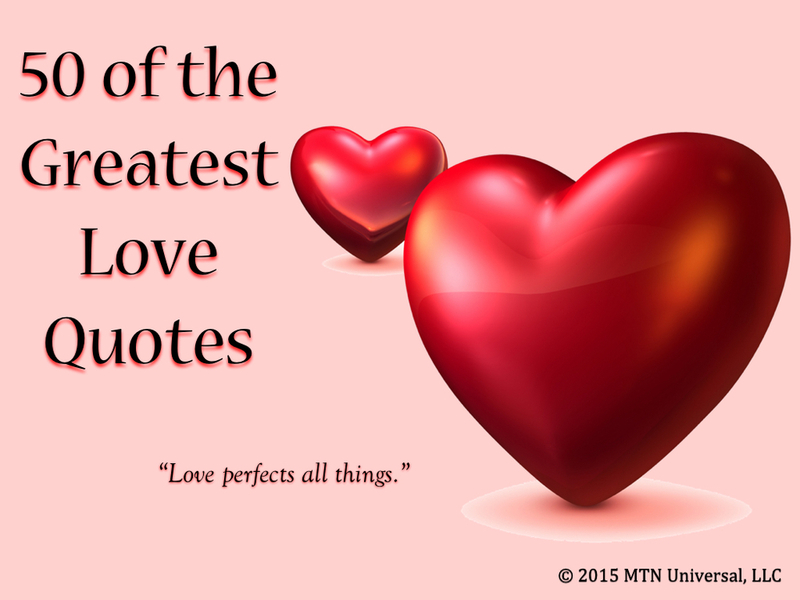 “Love perfects all things.” - Bryant E. Hall, Sr. Many times in life, we are driven by love or fear. From your attitude to your actions, let love drive all your interactions. Not only will our world be a better place, but also your world will be much better off with love in the driver’s seat. Question: What’s your favorite “love” quote? Leave your comments below.